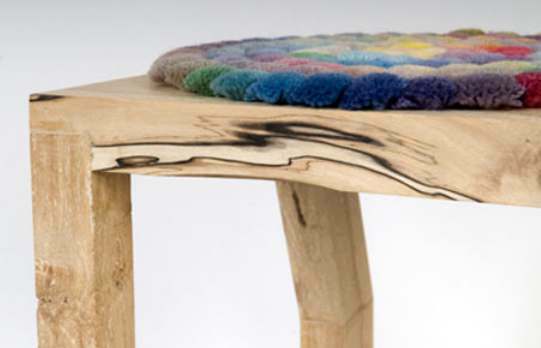 Designed by Studio801, these tuft stools are made of beech and birch. They have on top of them an amazing carpet used as cushioning from a variety of colors: blue, orange, red, white, grey, yellow etc. The design company worked with one of the best companies from the UK for creating cushions for each stool in different patterns. They have been especially created for the textile industry, in order to promote the ranges of carpeting colors. A small description of these two stools would be the following: they have been manufactured by using traditional craft techniques as well as jointing processes, they feature kinked back legs, and they have different heights in order to suit to a range of uses. The colors are very well accentuated.